Mitcham Cricket Green Community & Heritage is running a special workshop to explore the potential of new community rights to make a difference to Mitcham. This will run on the evening of Friday 27th March in the cricket pavilion – the first building in Merton to be listed as an asset of community value. There was strong demand for the workshop at our recent Open Meeting. We have teamed up with Civic Voice – the national charity for the civic movement – to run the event. It will include a short walkabout, expert presentation and an opportunity for you to discuss and identify potential buildings and land to be recognised for their contribution to the community. 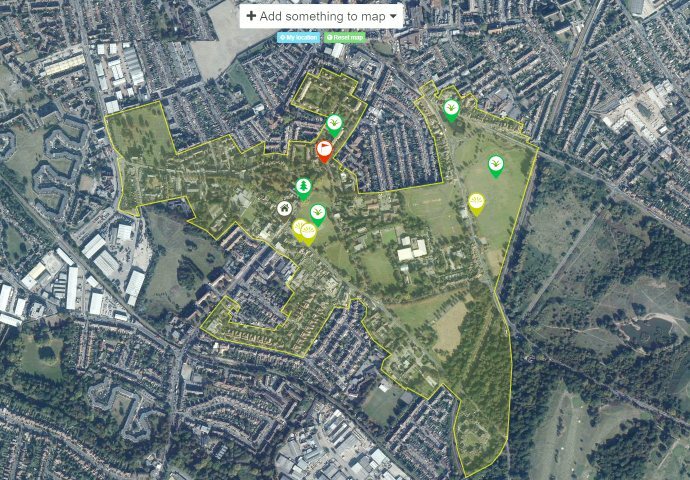 We will produce an action plan for Mitcham which identifies the buildings and land we most value. Please feel free to join us at 6.15 if you cannot make the walkabout. The event will be run by Tony Burton (trustee, MCGC&H) and Sarah James (Civic Voice). Read more about our successful campaign to have Mitcham Cricket Pavilion recognised as an asset of community value. This entry was posted in Cricket Green Conservation Area and tagged Asset of community value, Cricket Green, Mitcham, workshop on March 9, 2015 by mitchamcricketgreen.